Whether it’s rural lifestyle farming, professional or government use, the Massey Ferguson 4600M Series is ideal for loader work, mowing, hay production and any other job you can throw at it. They’re durable, easy-to-operate tractors in a small, yet powerful package with just the right mix of innovation, technology and comfort. DELUXE CAB: This cab option offers factory-equipped LED light package, rear in-glass defroster, rear window wiper, front sun visor and GrammerTM air ride seat. Plus, fender-mounted 3-point hitch controls, and factory loader-ready with joystick, loader valve and subframe. OPTIMIZED CAB LAYOUT: More storage locations, cupholders, cell phone caddy and coat hanger. COMFORT: Working hard or playing hard, your tractor should always be comfortable. RADIO READY: Speakers and antenna pre-installed on all cabs. 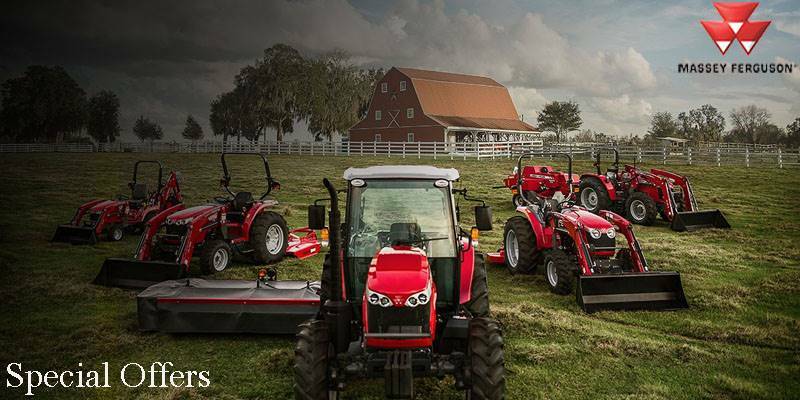 STABILITY: Regardless of the terrain, or the task, you can rest assured these tractors are built as stable as can be. WIDE BASE: A longer wheelbase to start, plus adjustable wheels for different applications and terrains. ENHANCED STEERING: Larger steering cylinders, knuckle arm, tie rod and a new orbit roll motor provide better steering performance in full-bucket loader operations. 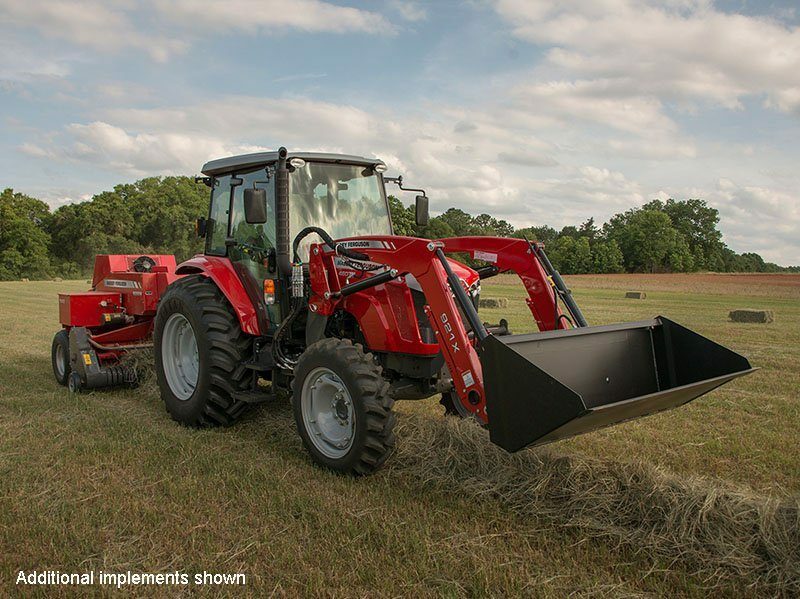 VERSATILITY: Tractors engineered to handle almost anything you throw at them. From the field to the barn to the yard. TRANSMISSION: 12F x 12R 2-range (without creep) or 18F x 18R 3-range (with optional creep), power shuttle – 6 gears synchronized, electro-hydraulic shuttle lever. ENGINE: Turbocharged 3-cylinder AGCO PowerTM engine meets stringent Tier 4 Final emissions standards. Four valves per cylinder improve airflow and enhance fuel / air mixture. No diesel particulate filter (DPF) is required, which saves time, fuel and money. DRIVE: 2WD and 4WD offerings. 3-POINT HITCH: Category II standard. LOADER: Optional, with optional skid steer tool carrier and a wide variety of other attachments. VISIBILITY: Optimum sight lines is one of our top priorities. OPERATOR STATION: A clean operator station and well-positioned seat offer maximum visibility to front and rear implements. VIEW: LED work lights, a front sun visor, rear defrost and rear wiper are standard on the deluxe cab. LIGHTING: Additional LED work lights are optional, so you can work on your schedule, not Mother Nature’s.